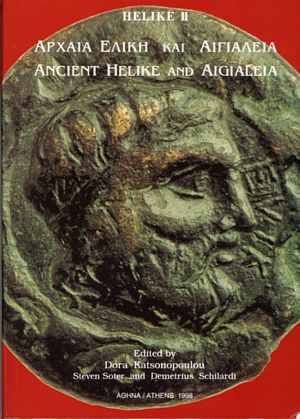 ANCIENT HELIKE AND AIGIALEIA: Proceedings of the Second International Conference, December 1995, Aigion, Greece. An overview of the topography, geology and archaeology of ancient Helike, its region and its colonies, with 28 papers, 517 pages of text and 50 of plates, plus 98 text figures. Post Restante, Diakopto 25003, Achaia, Greece. Page last updated December 1, 2003.